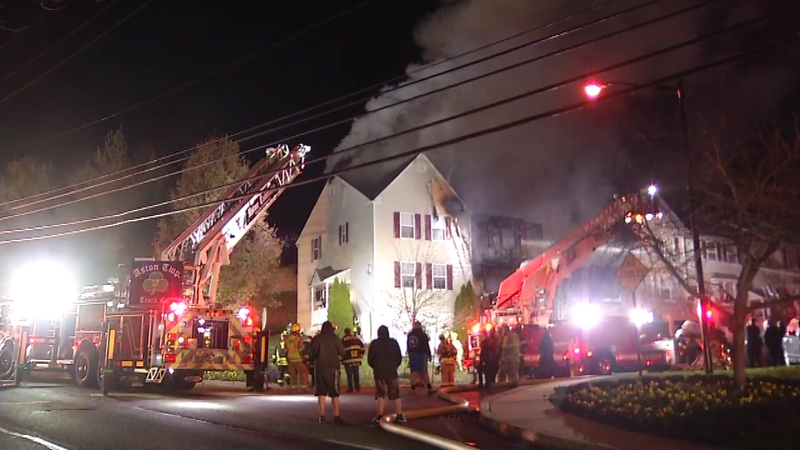 November 16, 2016 - A two-alarm fire damaged four townhouses and injured a firefighter in Aston, Delaware County. 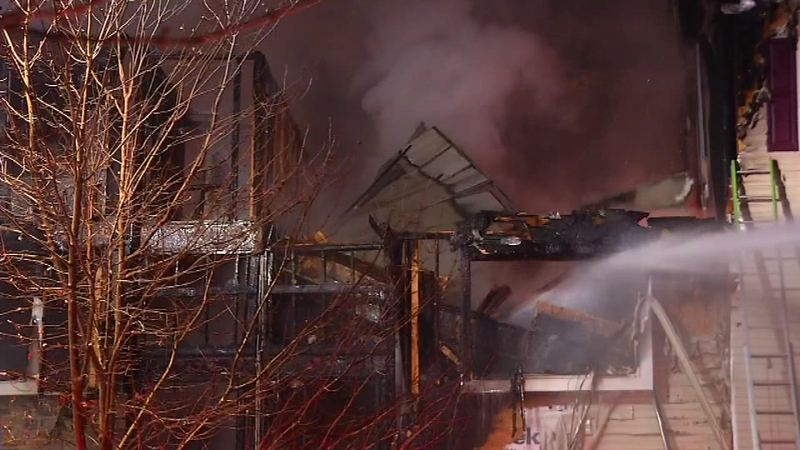 ASTON, Pa. (WPVI) -- A two-alarm fire damaged four townhouses and injured a firefighter in Aston, Delaware County. 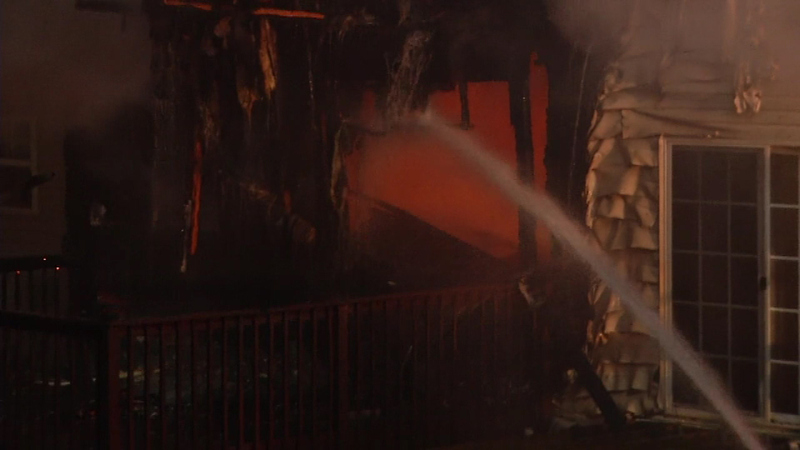 The fire began around 11:00 p.m. Tuesday on Birney Highway and Linda Lane inside of The Reserve development. 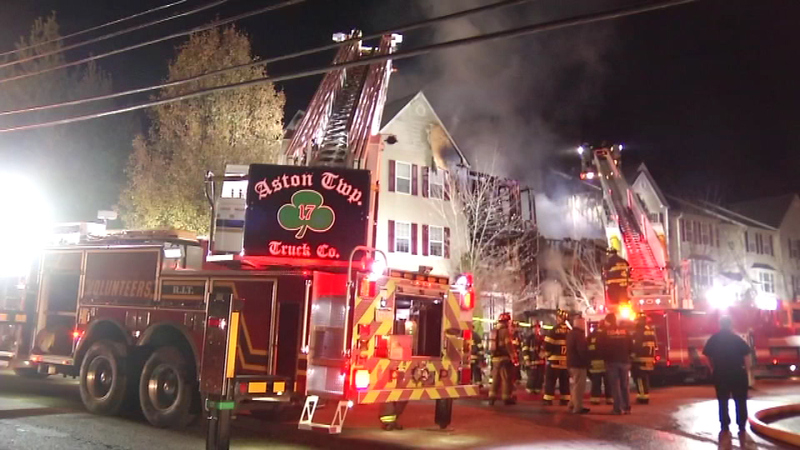 Two townhouses suffered extensive fire damage, and two others had smoke and water damage. 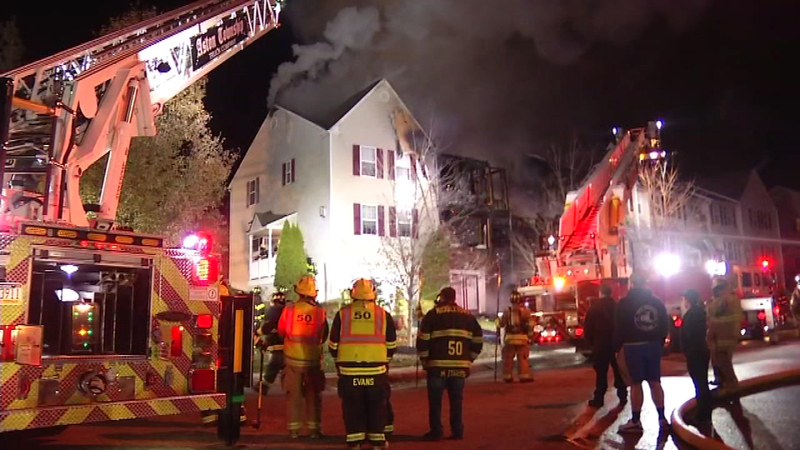 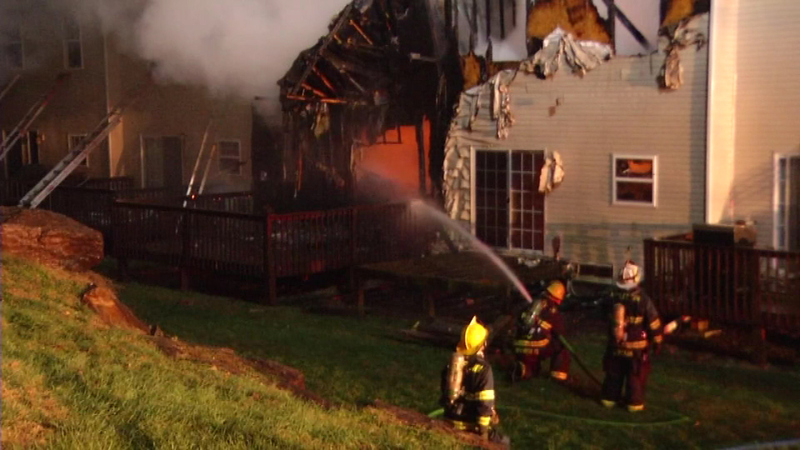 A two-alarm fire damaged four townhouses and injured a firefighter in Aston, Delaware County. 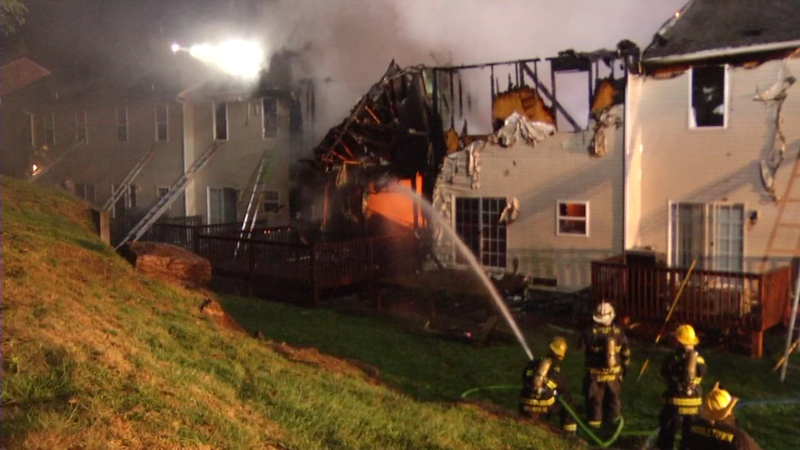 The entire row of homes were evacuated as a precaution. 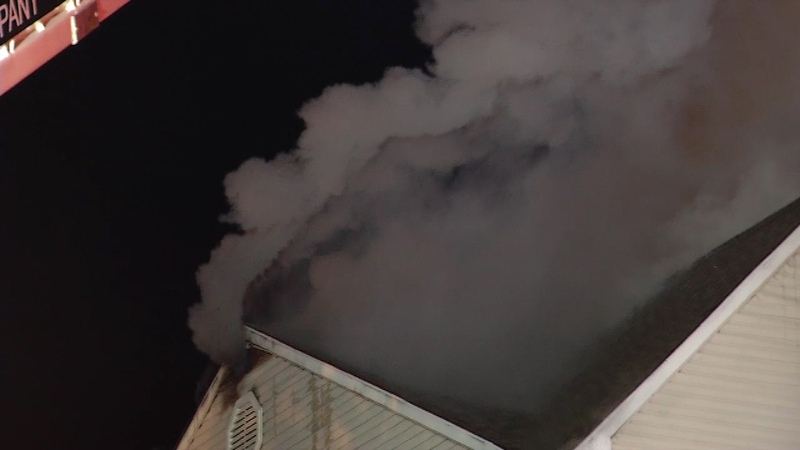 The roof of one of the homes collapsed. 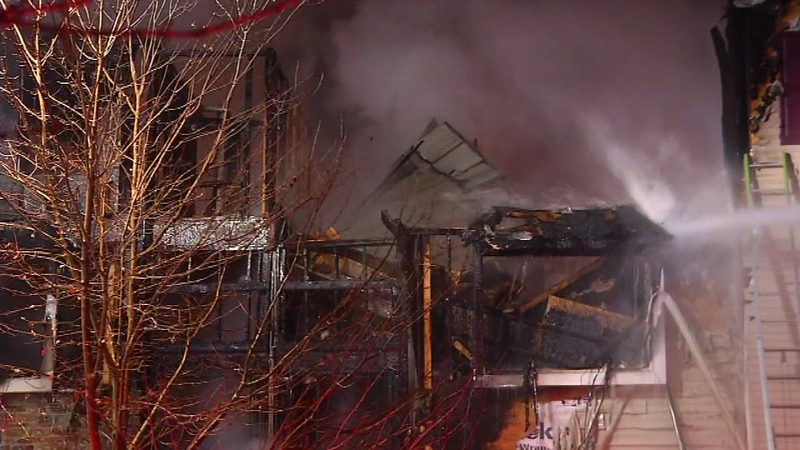 A female firefighters was taken to the hospital after she came out of the home and fell to the ground. 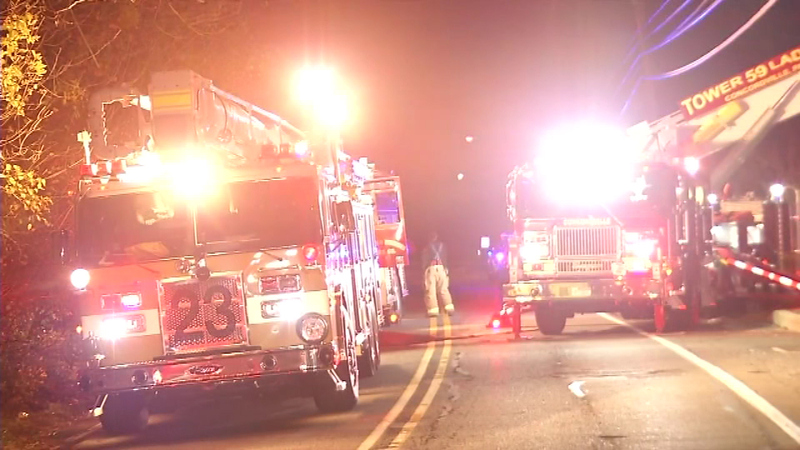 Images from the Action Cam at the scene show her alert as she was being placed into an ambulance. 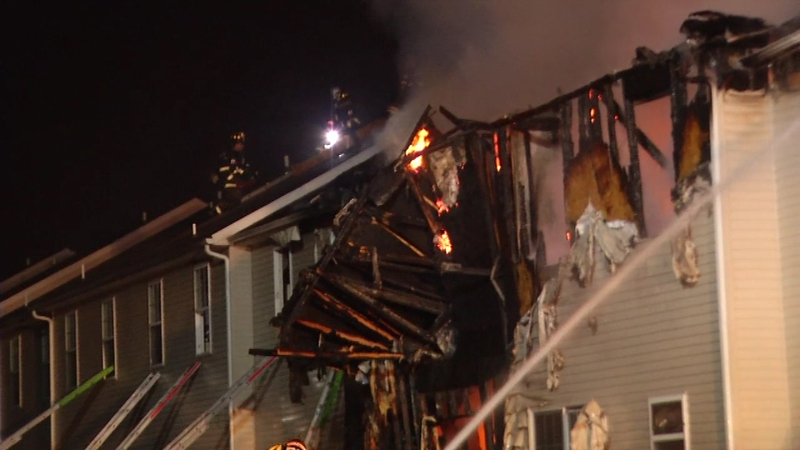 No one else was hurt as a result of the fire. 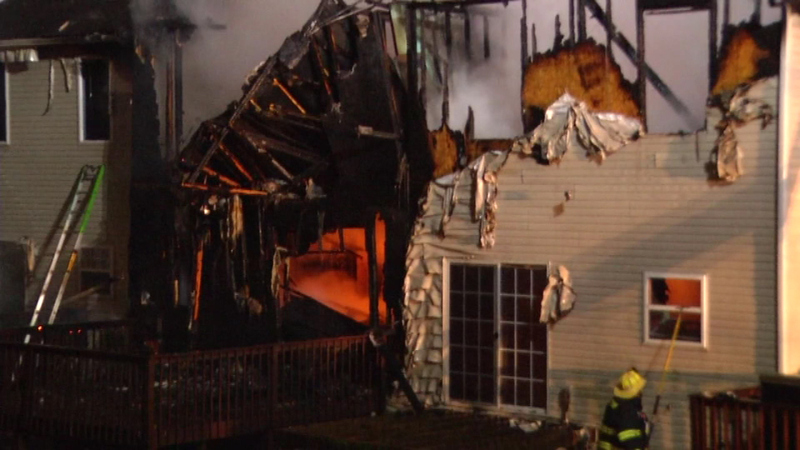 Six families are being helped by the Red Cross.